Abbey Roofing will renovate any roof to its original state or to a more modern design, with all carpenters able to replace one rafter to constructing a completely new one. Old or modern buildings are not a problem, with whatever work is needed Abbey Roofing will carry out from timber to brickwork, constructing a dormer to re-building a new chimney. 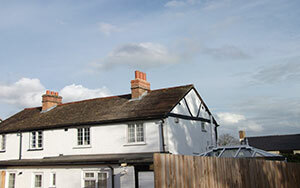 Abbey Roofing can supply a full survey of your roof to fit in with the current regulations.